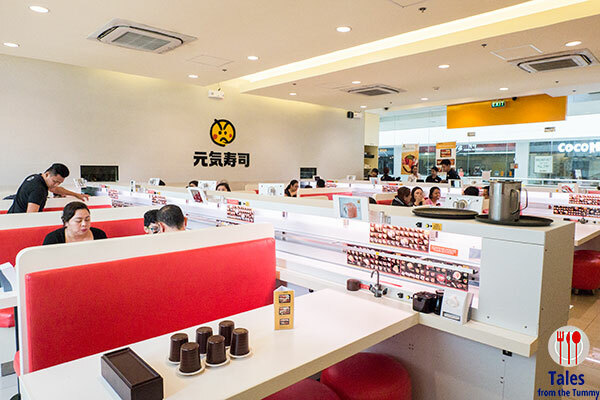 Genki Sushi is a kaiten sushi (conveyor belt) franchise from Japan. I’ve seen branches in Malaysia, Singapore and Hongkong and if I remember right even tried the branch in KLCC many, many years ago. We tried to go eat in BGC stopover, their first store in the Philippines but lines were prohibitively long so we decided to table our trial for another day. Irene and I finally got a chance to try when Lauren was at her friend’s house so we took advantage. We got in quickly that day and had a seat in the middle of the restaurant. The decor is pretty simple with pops of bright colors. 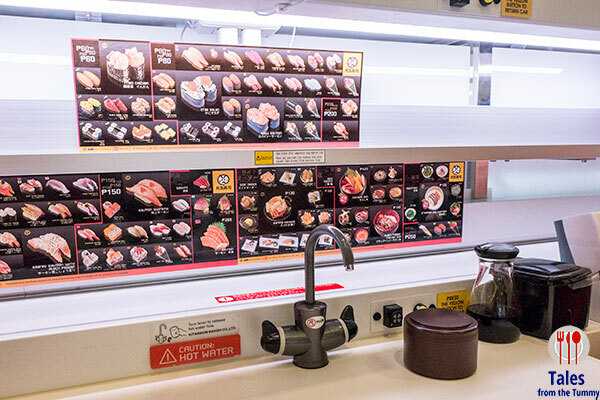 Each table has access to the kaiten (conveyor) but Genki is a bit different from what I experienced before. Each booth has their own hot water spout with green tea powder so you can just make your own. There’s a menu stuck on the side but they also provide you the traditional menu. 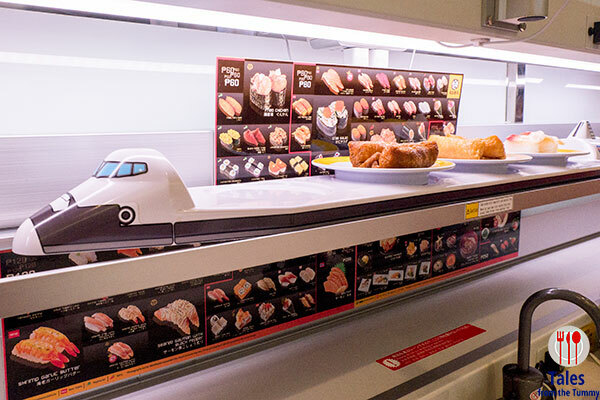 The sushi are delivered using ingenious vessels like this space shuttle. I’ve seen race cars and even Astro boy deliver the sushis. 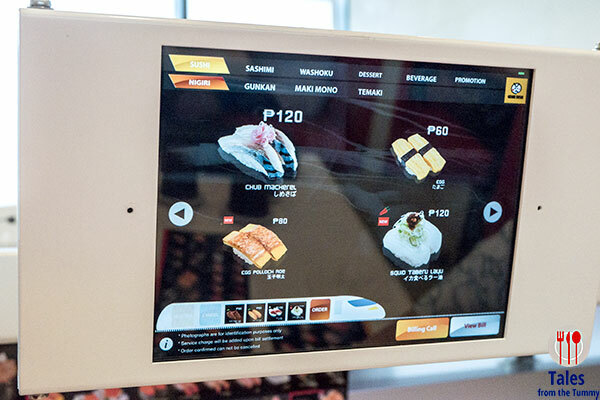 You place your own orders on the touch screen system. You just drag you orders into a facsimile of the delivery vehicle. Each one can hold 5, once you send it the kitchen will start making them and send them out. You’ll know the orders are arriving when the indicator lights up. It’s pretty fun and I bet kids will get a big kick out of it. 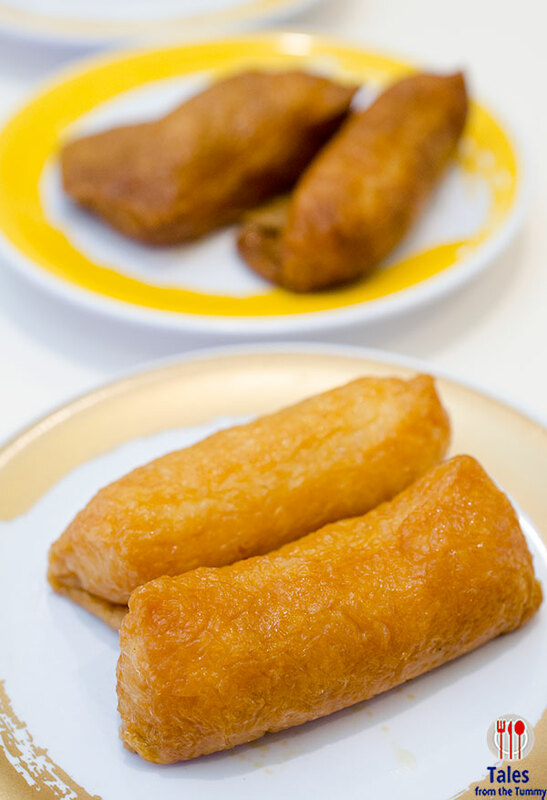 We got our favorite Inari Sushi or Fried Tofu Skin Sushi (P60/2 pcs.). 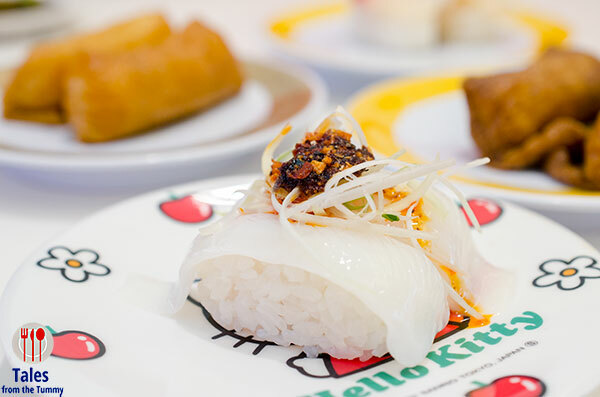 They have 2 variants at Genki the regular tofu skin and a Black Sugar Fried Tofu Skin Sushi (P60/2 pcs.). We got both of them to try but I could hardly taste the difference. I got myself one Surf Clam Sushi (P150). Not bad with a pretty big piece of hokigai (surf clam). Squid Taberu Layu (P120/2 pcs.). 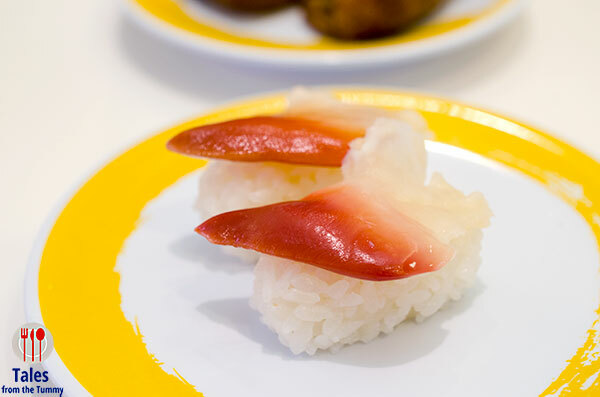 Squid sushi topped with layu (chili oil). This one was something new, and it was one of our better orders. Plus points for the Hello Kitty plate. 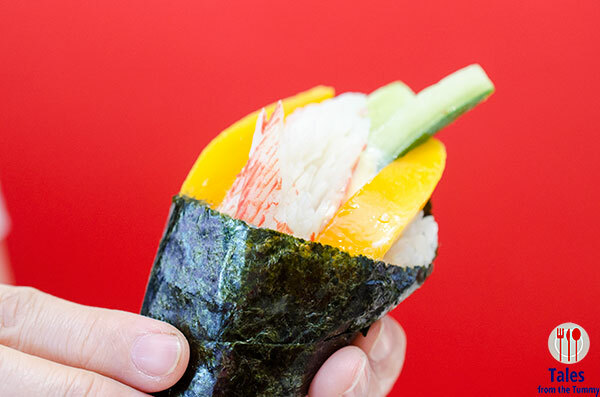 California Hand Roll/Temaki (P80). Pretty big roll with nice fresh ingredients. Egg with Pollock Roe (P80/2 pcs.). 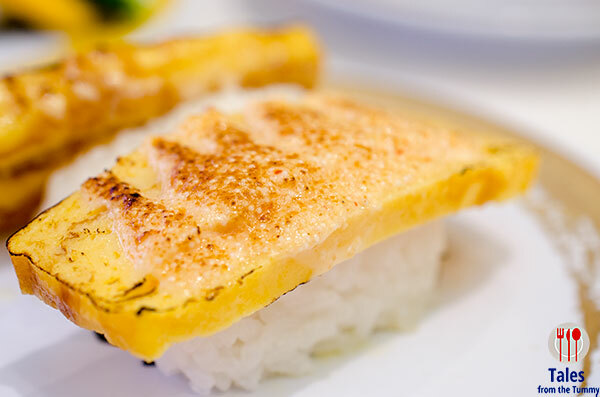 A big slice of tamago (egg) topped with pollock roe then torched. Irene found the taste too fishy but it was ok for me. Lobster Salad Gunkan (P120). 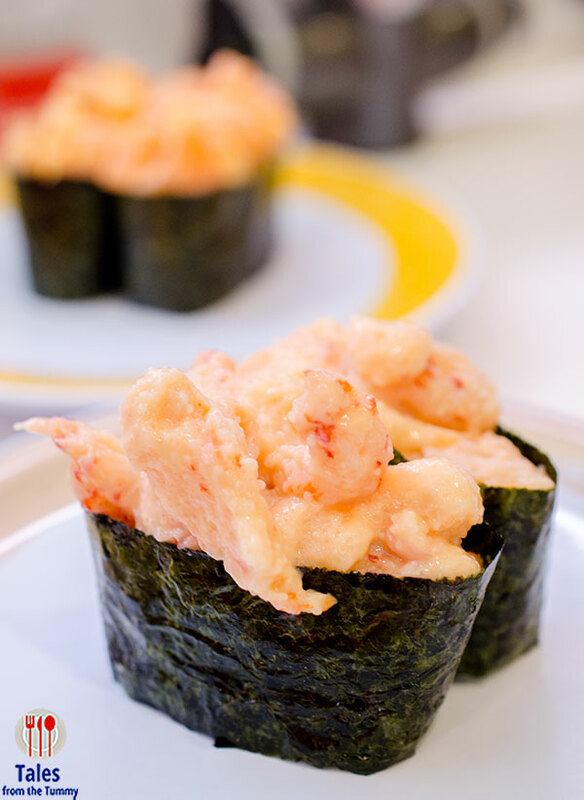 Chopped lobster pieces tossed in a mayo mixture then topped on sushi rice. I’m a sucker for lobster so at 120 it was a no brainer order. 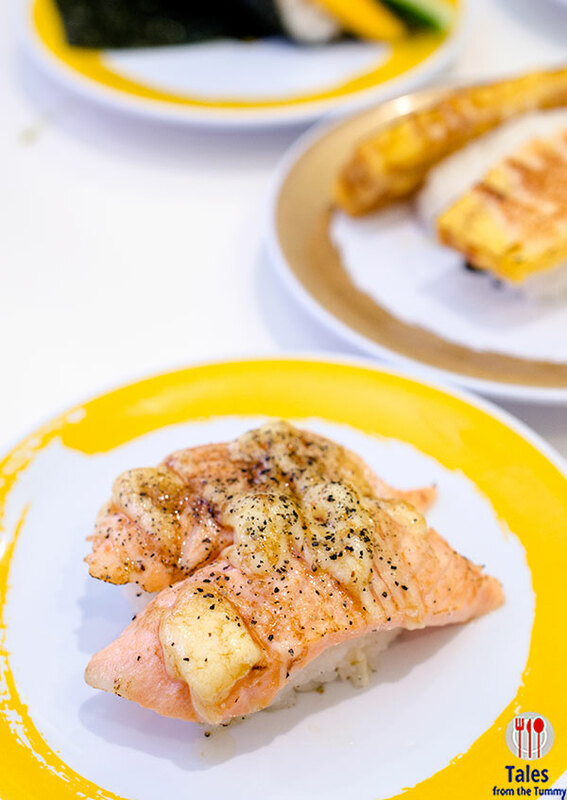 Seared Salmon with Black Pepper (P120/2 pcs.). Salmon sushi topped with some sort of mayonnaise, and black pepper then torched. 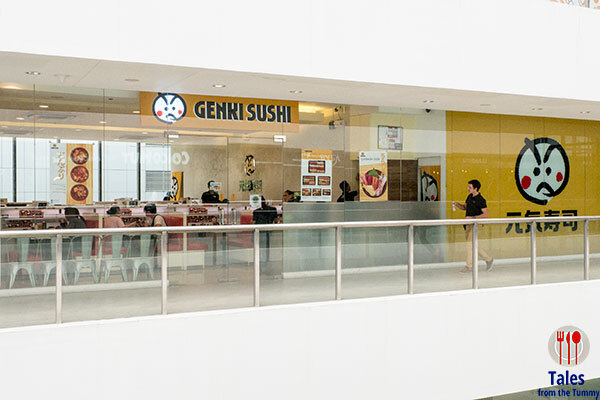 Overall quality is so so at Genki Sushi, prices are also not that cheap. I can get way better quality at Tsumura with some costing the same as Genki. It’s a gimmicky place where you can bring the kids to try out their unique ordering system but that’s all there is to the place. Wow! Sushis! I think there price for their foods are really affordable. They also had large servings. Thanks for sharing!